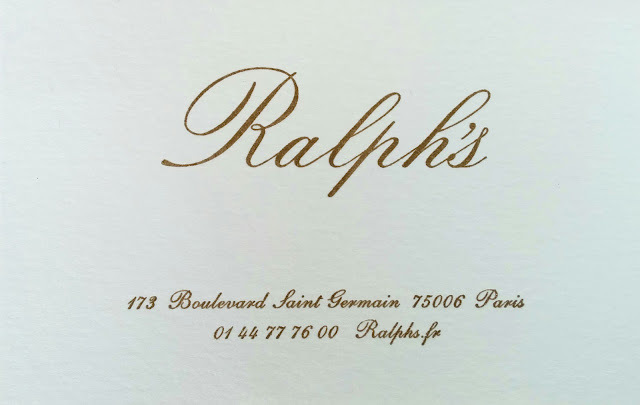 Opened 2010, Ralph's, by Ralph Lauren, is an all-American restaurant in Paris. The place is a renovated 17th century town house. Being my all-time favorite designer, I was looking forward to trying it out. 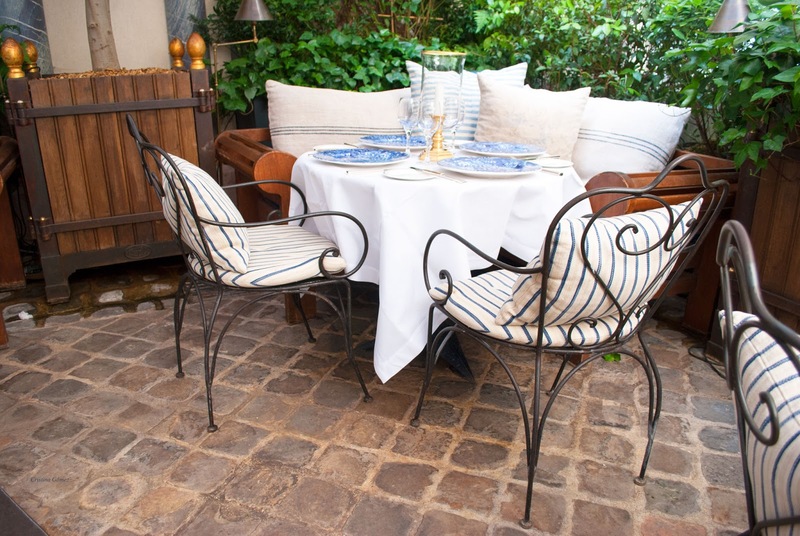 Since the weather was good we enjoyed lunch al fresco in their cozy patio. We felt like we had been transported to the Hamptons. 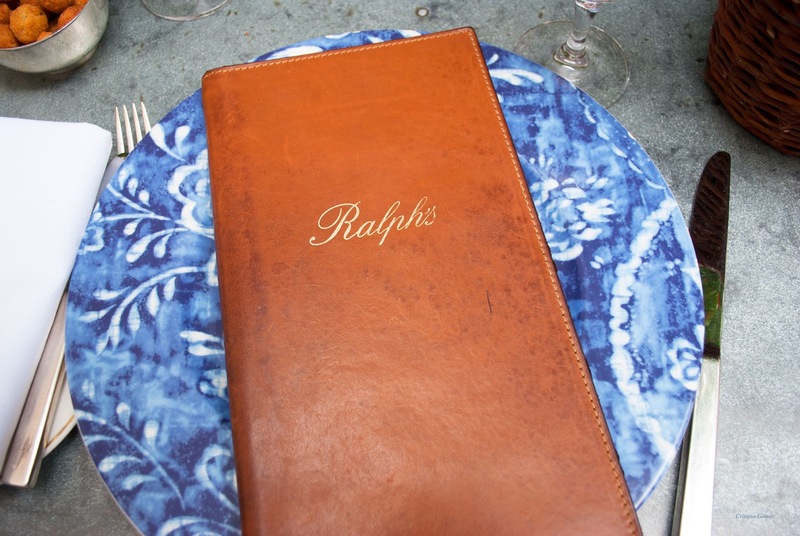 A meal at Ralph’s begins with a snack of deep-fried olives -which you can see on the top left corner of the photo below- and drinks. 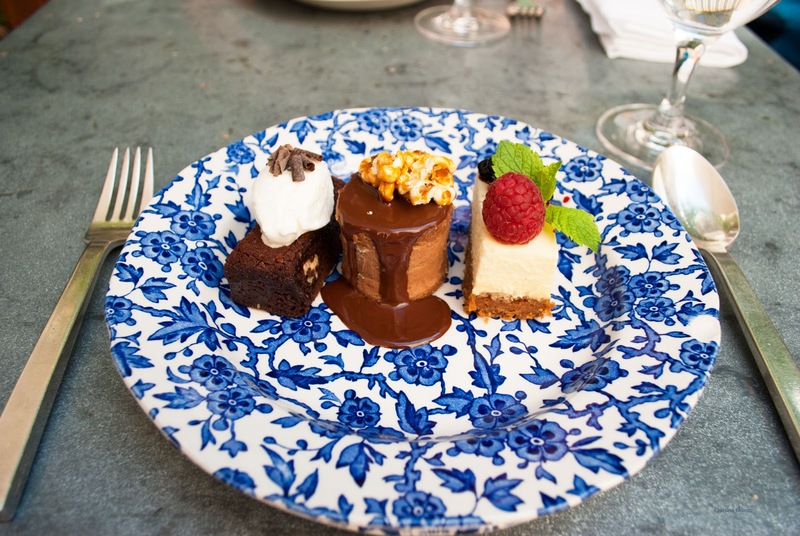 The menu is full of American classics. We went for the turkey burger -which is served with heirloom tomatoes, avocado and fresh green herbs- and the grilled farmhouse chicken breast -served with spinach, mashed potatoes and black pepper sauce. 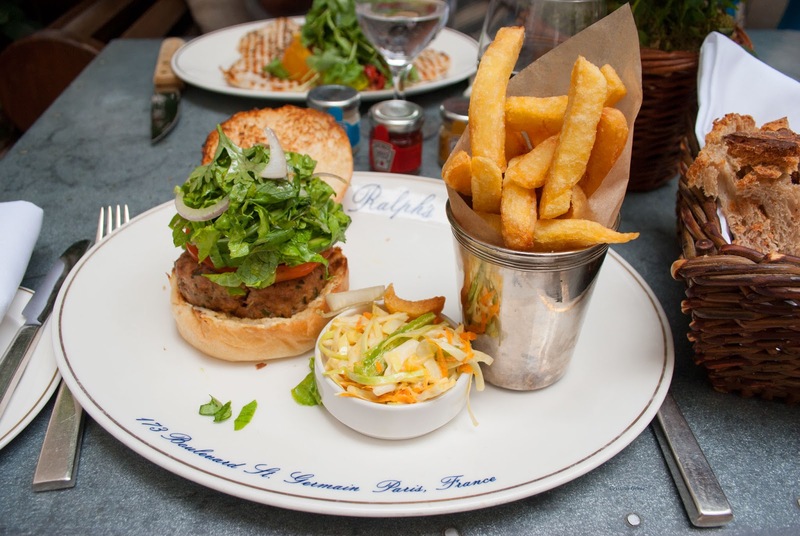 If you read online reviews, you'll find out that many people say that Ralph's serves the best hamburgers in Paris. I couldn't agree more. The American designer himself dines at his restaurant for the burgers. In fact, steaks come from cows raised on the fashion icon’s Double RL ranch in Colorado. For dessert we ordered Ralph's Favorites which consist of a coffee served with a mini brownie, a mini peanut butter & chocolate cake and a mini cheesecake. 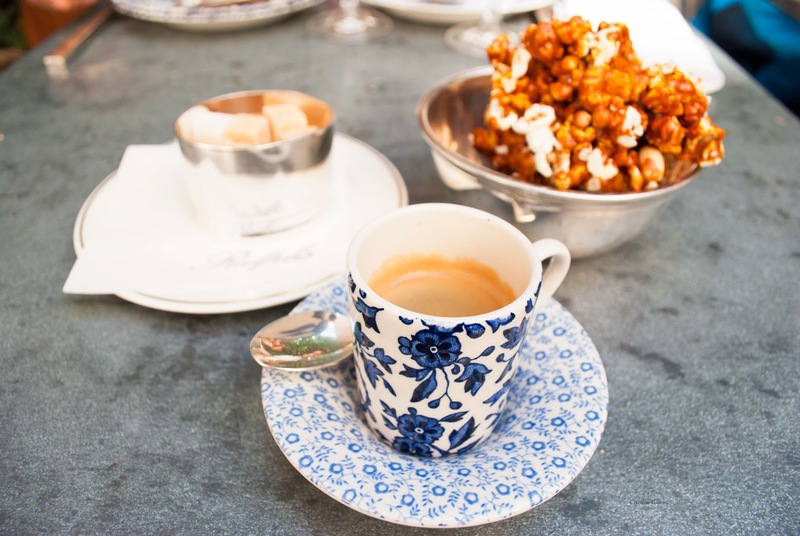 Coffee is also served with a generous helping of house-made caramel corn. Yum! The whole experience was positive, we felt like being in a part of Ralph Lauren’s world. what a lovely post. Thank you for sharing your happy memory making. Hugs! Wow, this place looks so cool. I didn't know that Ralph Lauren has restaurants too! I was in Paris last winter, too bad I didn't know about this place. The food looks delicious! 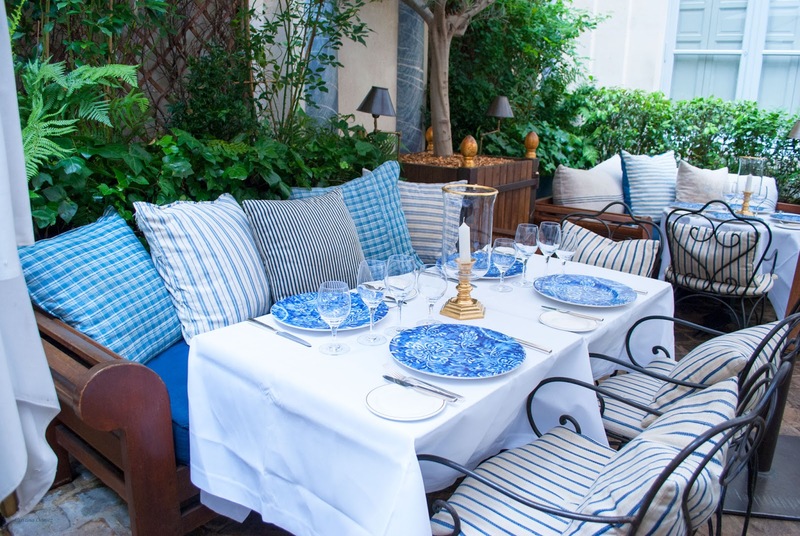 Such a beautiful restaurant ! What a beautiful place and the food looks so delicious. Thanks for sharing! Need to try it out next time I come to Paris. Everything looks delicious! 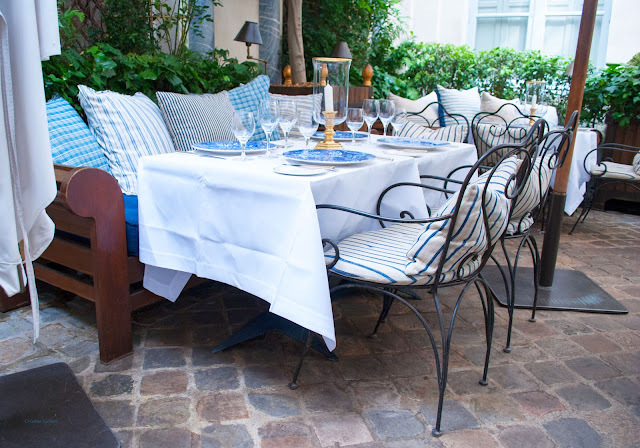 I'll keep this place in mind for my next vacation in Paris. This place looks lovely and cosy! Delicious meal! Looks super yummy and this place is so cosy! 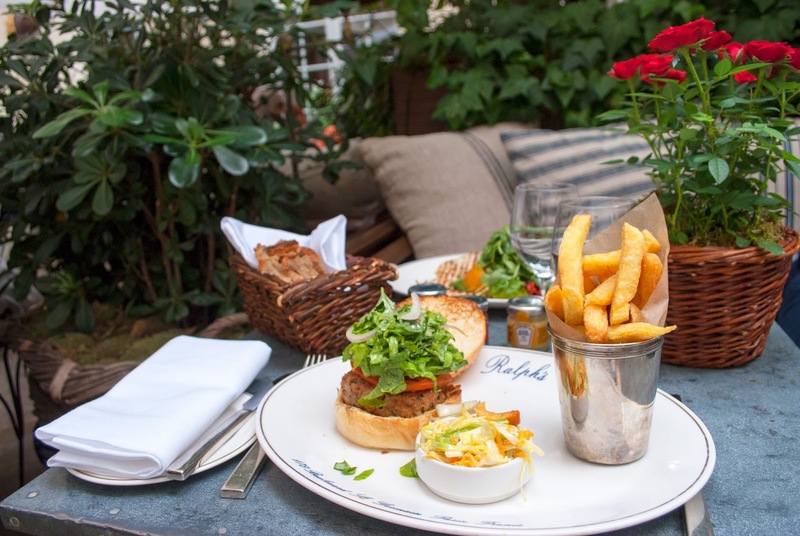 Ralph Lauren is one of my all-time favourite designers also, so I'd absolutely love to visit this restaurant one day! Can't get over how dreamy the decor is, absolutely perfect, even down to the plates! Great tip! I'll definitely try to remember it for the next time I'm in Paris. Any restaurant with a decor like that is a must visit.